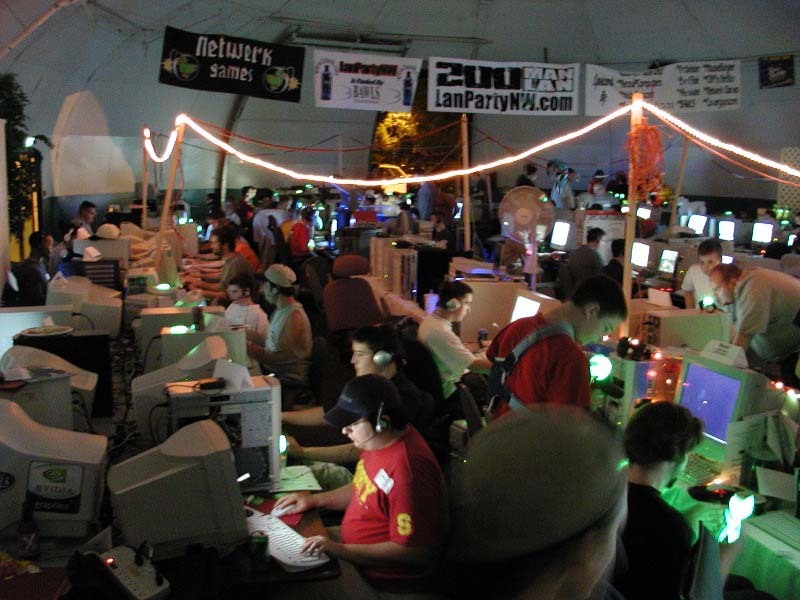 Extra Entry: You gain one extra entry for the Grand Prize for every new gamer you bring to the LAN. Last months Grand Prize winner won buy one of his extra entries. Update: There will be a special drawing for a DVD Player! (for TV) Only those who referred a friend to come will gain entry into this special drawing. Sign-Up Now | Who's going? Special thanks to LanGamesNW.com for the extra help to host this LAN! HALO XBOX Tournament for a geForce4 TI 4200 Video Card! Please feel free to look at the pictures of our last 200 MAN LAN HERE. Gaming starts at Noon Today! They must be a new gamer that hasn't come to one of our LANs to count.